We strive to treat you like family. We want to offer compassionate service that goes "above and beyond" your expectations. We understand that the funeral ceremony is one that plays a significant role in our lives and that meaningful ceremonies do not just occur, they require guidance and thoughtful planning. We promise to listen and respond compassionately to any and all of your requests. Simply put, our goal is to help you find joy in the way you choose to remember, honor and celebrate that wonderful life. William Guerry "Bill" was born in Lake City, FL and lived there for many years before he moved to Baker County, FL, with his wife Diane, where purchased Brinkley Funeral Home. 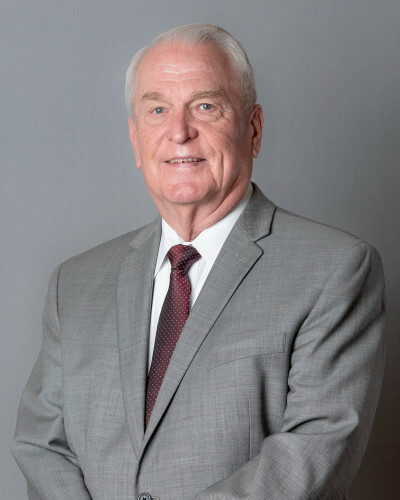 Bill was raised in the funeral home industry by his father, Theo Guerry, who owned and operated Sherrill-Guerry Funeral Home in Columbia County. Bill is a graduate of Columbia County High School and attended Gupton Jones College of Funeral Service in Dallas, TX. Once he was settled in Baker County and Guerry Funeral Home was established, he went back to Lake City and opened a funeral home location there as well. Funeral service runs deep in the Guerry blood and he loves being able to serve the communities of Baker, Columbia, and beyond. In his spare time he enjoys fishing, traveling, and spending time with his family. Brittnee was born in Jacksonville, FL and has been a lifelong resident of Baker County, FL. She is the daughter of Chris and Stacey Dopson and the granddaughter of Dr. Gary and Veda Dopson and Bill and Diane Guerry. 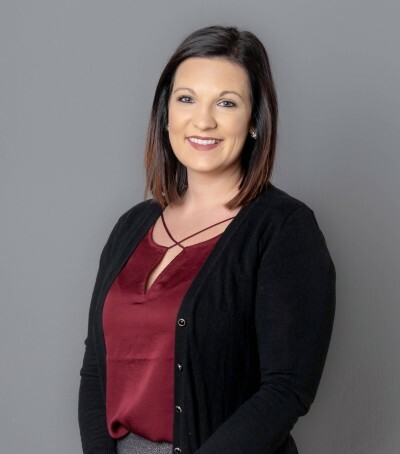 Brittnee is a 2008 graduate of Baker County High School and a 2012 graduate of the Mortuary Science Associates Degree Program at Florida State College at Jacksonville. Funeral service has been a part of Brittnee’s life since she was a small child, spending her days running around the funeral home. Growing up around the industry it was a natural decision to become involved in the family business. Brittnee is married to Garrett Milton and together they have two precious daughters, Eva and Emree. In her spare time Brittnee enjoys spending time at the lake with her family, traveling and cooking. Garrett was born and raised in Baker County. 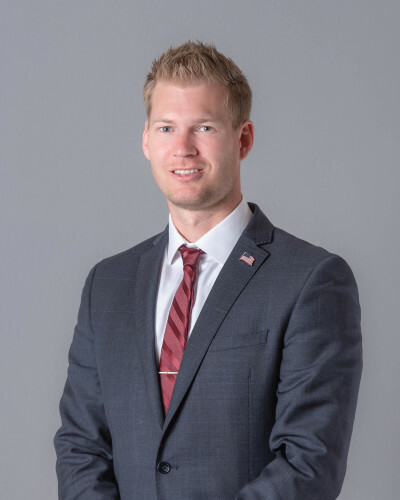 He is the son of Johnny and Dayle Davis Milton, grandson of the late John and Louis Milton, and the late Ralph and Dorothy Davis all of Baker County. He is a 2005 graduate of Baker County High School. He is a licensed residential contractor and worked in the construction industry for his dad’s company until 2016 when he decided to make a career move and go into the funeral industry. He is a 2018 graduate of St. Petersburg College in Funeral Service Science. He is married to Brittnee Milton and they have two daughters, Eva and Emree. They are members of Raiford Road Church. He has three siblings, Anna Dayle Fuss who works for Archer Funeral Home in Lake Butler, J.D. Milton who is a preacher in New York, and Wyatt Milton who is a teacher at the Baker County Middle School. Garrett loves spending time at the lake with his family, playing golf and watching the Gators. He has been a Wildcat Booster for the last 5 years and supports all Wildcat Athletics as well as an active supporter of First Coast Women’s Services in Macclenny. He recently became a member of the Lake Butler Rotary Club and enjoys being involved in local communities. Justin is a lifelong native of Lake City, Fl., He is a 2006 Graduate of Columbia High School and a 2009 Graduate of Gupton-Jones College of Funeral Service in Atlanta, Georgia. Justin is married to Lauren Hewett Goodson, and has two children Bryson and Braelyn. Justin is the son of Donald “Bruce” Spradley, Jr., and Kimberly Goodson Spradley, of Lake City, and is the grandson of Kermit and Sandra Goodson, of Lake City and Donald “Don” Bruce Spradley, Sr., and Dorothy Sandlin Spradley, of Lake City. Justin also has two brothers; Hunter and Brock Spradley both of Lake City. He enjoys spending time with his family and friends, and enjoys the outdoors, hunting and fishing and also helping out on the farm. Dylan Hall was born in Augusta, Georgia and was raised here in Baker County. After graduating from Baker County High School in 2016 Dylan attended Florida State College at Jacksonville on a baseball scholarship where he received an Associates in Arts. Dylan is currently enrolled at St. Petersburg College where he is working towards gaining an Associates of Science in Mortuary Science. In his free time Dylan enjoys, fishing, spending time with his family, friends, and fiancée Genie Taylor who he will marry in the spring. Cameron Wilson was born in Jacksonville, Florida, but was raised in Baker County. Graduating from Baker County High School in 2015, Cameron went to school at Lake Sumter State College on a baseball scholarship. After completing 2 years and receiving an Associate in Arts degree from Lake Sumter, he came back home and enrolled in Florida Gateway to start the nursing program. 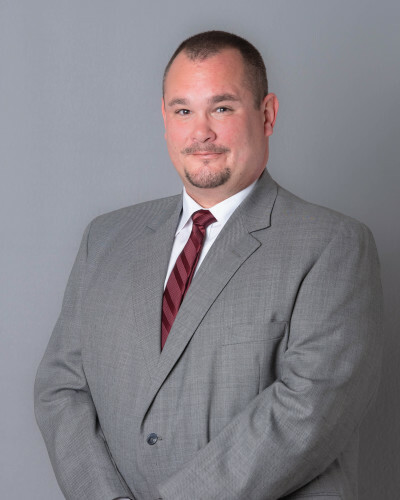 After receiving the opportunity to work full time at Guerry Funeral Home, he quickly changed career paths and will start classes at St. Petersburg College to receive his Associate of Science degree in Mortuary Science. Cameron hopes to pursue a career in the funeral business and takes pride in everything he does for the community. Cameron enjoys spending his free time with his fiancée, Sydney Corbett, and his dog, Harper.